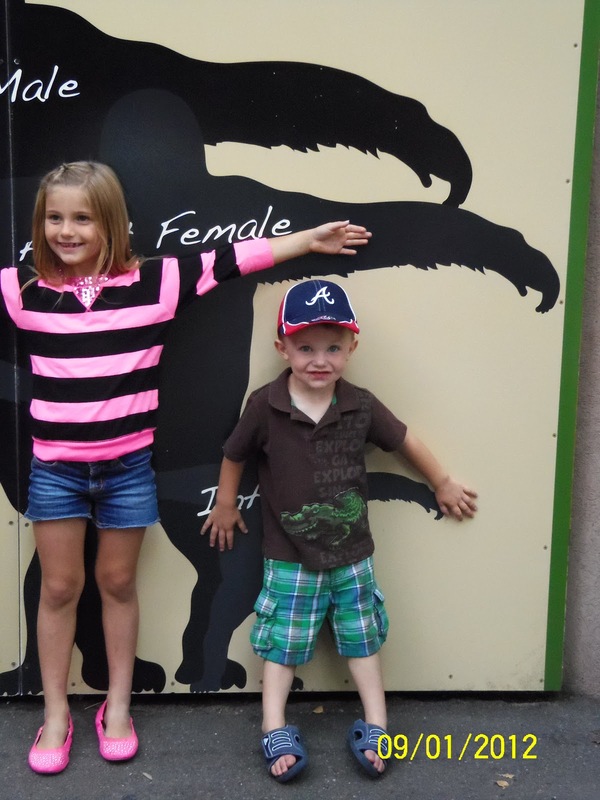 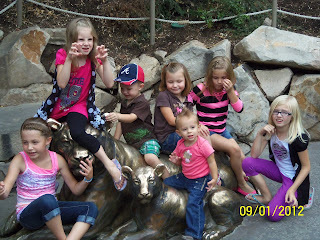 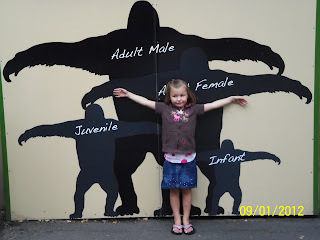 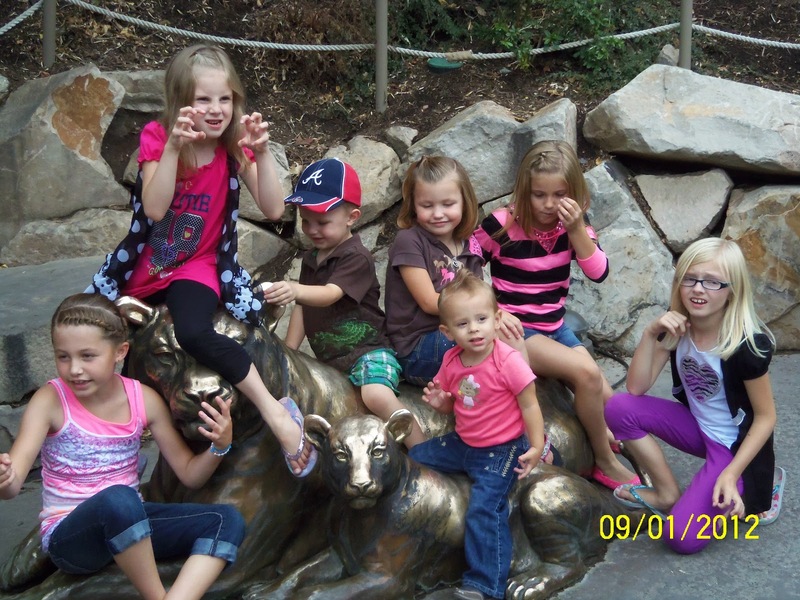 We went to Hogle Zoo over Labor Day Weekend, with cousins. We hadn't been there since they closed off the bears and seals for upgrading, it was amazing to see the upgrades they have done. 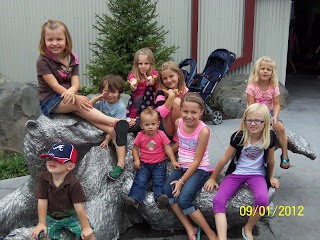 The kids watched the polar bear and seals swim for a long time and then we went back again right before we went home. 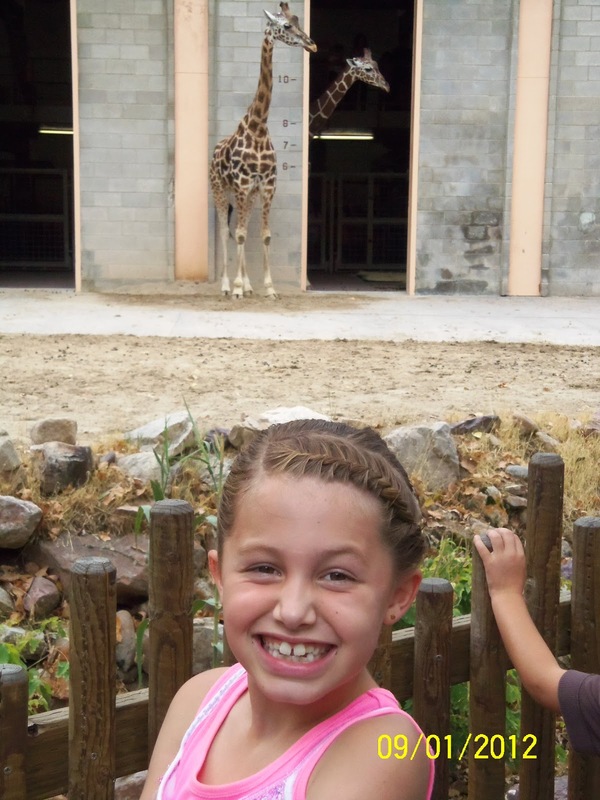 We're excited to see the updated giraffe part when it's done. 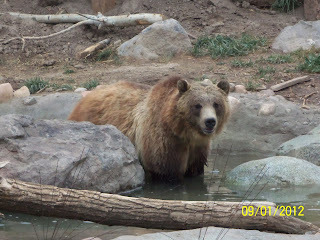 If it is anything like bearworld, it's going to be great. 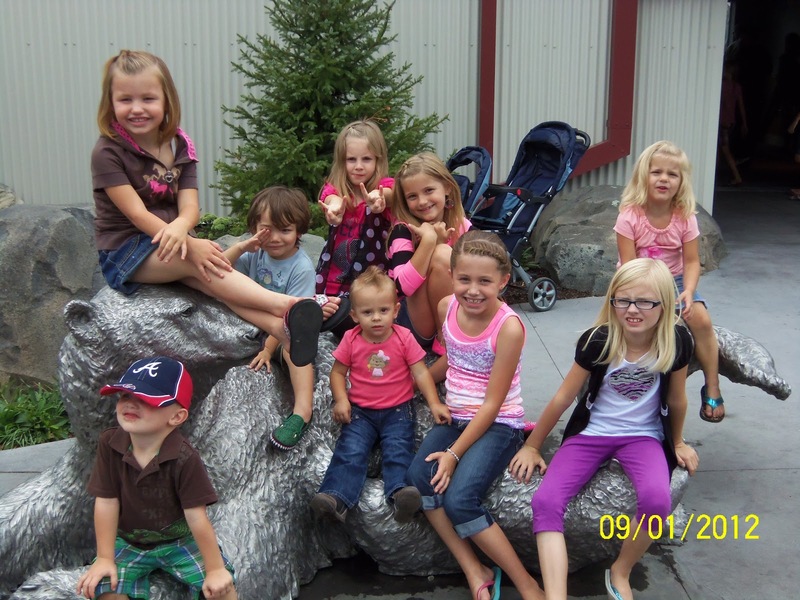 We have no idea who the long haired boy in the middle is, he wouldn't get off so we could take a picture and I have no idea where his parents were so we took it with him in it. This was the last weekend the zoo was going to be open with the giraffe's they are closing it to do upgrades, part of the upgrades is having a giraffe petting area, that will be fun. 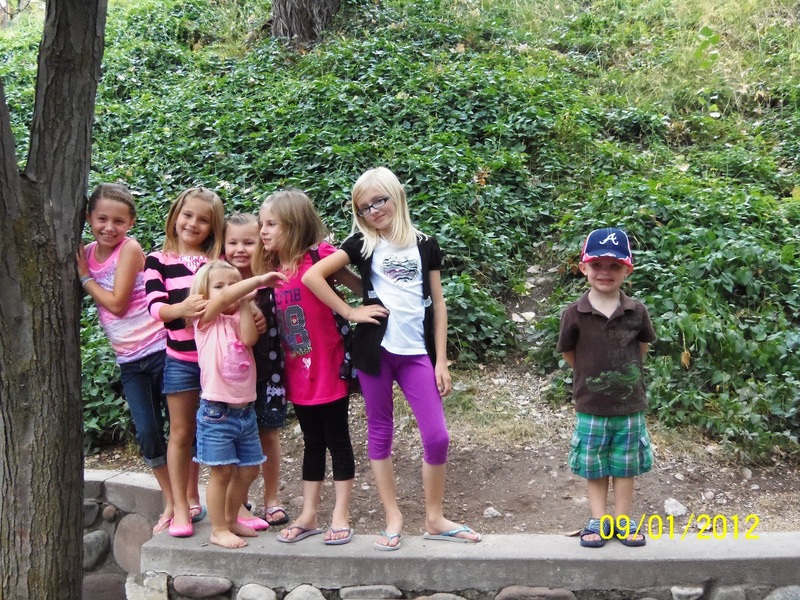 Preston was the only boy again, but he didn't mind. This picture just happened to turn out with all the girls on one side and him on the other.